KIDDIELAND ECE’s Tuition and Summer Camp Rate were created to benefit families enrolling children full time five days a week. These families have registration priority and lower daily rates. The payment of tuition is of vital importance for the continuing education of our children and the maintenance of Kiddieland Educational Center of Excellence. Parents are aware of their financial obligation to pay on time all tuition and fees related to the education of their children at Kiddieland ECE. Please refer to the Parent Handbook for more details. The tuition fees are on a monthly schedule. The first month tuition is due upon completing the Application of Admission Enrollment Form. 2. Tuition invoices will be sent to families approximately two weeks prior to the tuition due date. 3. Tuition fees and subsidized families’ co-payments are payable in advance from the date parents receive the invoice but no later than the first day of each month. 4. Tuition is based on the number of week days in one month multiplied by the daily rate based on the age of the child. Updated age rates are applied to the subsequent month after the child’s birthday. 5. Payment can be made in cash or through ACH Easy Pay Account (Withdraw directly from a Bank Account). 6. Families who fail to pay tuition in a timely manner, or have more than three late payments (payments made after the 5th of the month) could face termination of the child’s enrollment. 7. Two weeks deposit is due during the enrollment process. This deposit could be used in case of late payments and others; otherwise it will be credited towards the last two weeks of enrollment if the withdrawal form was completed four weeks prior to the withdrawal date. 8. Written notice of withdrawal must be received by the KIDDIELAND ECE Office at least four weeks prior to the withdrawal date or families are liable for one month of tuition. 9. Tuition fees continue whether a student is in attendance or not. Refunds or credits are not given for student absences or holidays. Families are responsible for payment of tuition on days that the center is closed such as holidays, observed holidays, vacation, emergency closings, staff professional development, and special events. 10. Subsidized families are responsible for paying tuition out-of-pocket for full days not paid by Illinois Action for Children. 11. For children who do not attend Kiddieland ECE for more than 2 weeks, tuition will be charged at 100% for the first two consecutive weeks and subsequent consecutive weeks will be charged at 50% tuition. 12. The school day at Kiddieland ECE starts at 8:00 AM and ends at 5:00 PM. A Before School Program is offered from 7:00 to 8:00 AM and an After School Program is offered from 5:00 to 6:00 PM. The daily tuition fees include both before and after school programs. 13. Tuition for the Summer Camp Session will be made in three equal installments on the following dates: June 1, July 1, and August 1 of the current year. 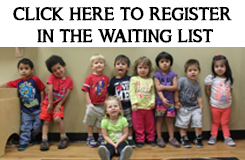 An enrichment fee of $50.00 per month per child is due for students entering our Summer Camp. 14. Please contact the center administrator to receive information on applying for Financial Aid or to make donations.